On Monday, March 4, Master’s Civil Engineering student, Joseph Arcella, successfully defended his thesis entitled “A Comparative Analysis of Current Performance-Based Maintenance Procurement Methods to Improve Virginia Highways.” Joseph’s research was conducted out of the Center for Highway Asset Management Programs (CHAMPS) at Virginia Tech. Funding was provided by the Virginia Department of Transportation’s Maintenance Division in an effort to help improve their current performance-based “Turnkey Asset Maintenance Services” (TAMS) contracts used on the interstates. For his research, Joseph studied the current state-of-practice in performance-based highway maintenance both domestically and internationally. The research was completed in two phases. Phase one involved a mini-scan study of the highway maintenance industry to identify the current practices in performance-based maintenance contracting (PBMC). This phase gathered information on domestic and foreign agencies currently using performance-based maintenance on highways. Phase two used the mini-scan study information to build, compare, and analyze agency timelines (i.e., VDOT to others). Timelines included major milestones at each agency; milestones which enabled innovation in the field of performance-based contracting. The purpose of comparing VDOT to other agencies was to provide VDOT with industry best practices as well as recommendations for future contract evolutions. Timelines were constructed for Florida DOT, Main Roads of Western Australia, England’s Highways Agency, and New Zealand Transport Agency. Connection links were made between VDOT and the other four agencies based on similarities in procurement laws and maintenance milestones. The timeline linkages and collection of information on benefits associated with PBMC (compared to traditional method-based maintenance) were used to make five recommendations for VDOT’s future maintenance program. VDOT recommendations were: Use performance-based contracting on secondary roads, use area-wide contracts to cover addition facilities, shift VDOT TAMS focus from lowest-cost to a best-value approach similar to England’s Managing-Agent Contractor, devise a strategic network of highways to prioritize maintenance, and use key performance indicators to align the Maintenance Division’s and VDOT’s objectives. Recommendations also considered the current restrictions imposed by Virginia procurement laws. 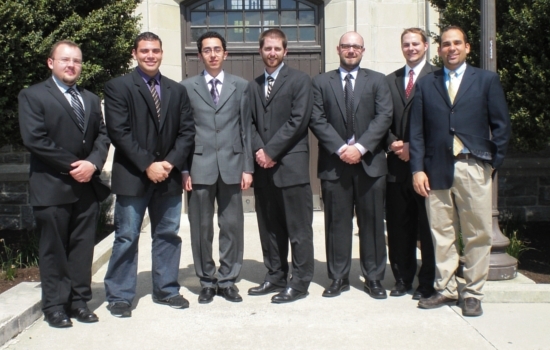 I served as a member of Joseph’s thesis committee, along with Jesus M. de la Garza (committee chair) and Michael Garvin.